UPDATE : Screenshots are here! 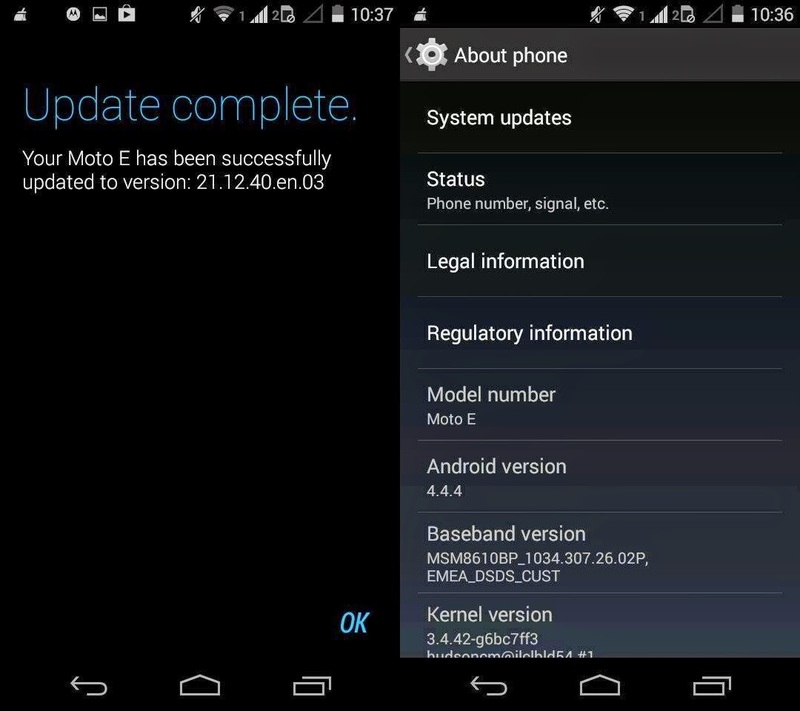 @NikRamakrishnan Yes, we started rolling out KitKat 4.4.4 for our Moto E users in India and expect Moto G and Moto X to follow soon. Motorola released 4.4.3 to users in the US just the day after Google announced it. The rest of the world was deprived of the facilities given to fellow Moto owners in the States. But after 4.4.4 was released, people say that Motorola somehow already knew of the OpenSSL bug in 4.4.3 and had decided to roll 4.4.4 directly to rest of the world. @NikRamakrishnan We do not provide exact dates and details of future updates and releases. Thank you for your interest. They have this on their clipboards, ready to paste it as a reply to any tweet that questions them about future updates. Anyways, good news is here. I haven't seen a screenshot of an Indian Moto E variant with 4.4.4 on the internet yet, but they'll be all over soon. Did you get the update on your Moto? Look out here for more updates and news as Motorola rolls out 4.4.4 for the more devices.